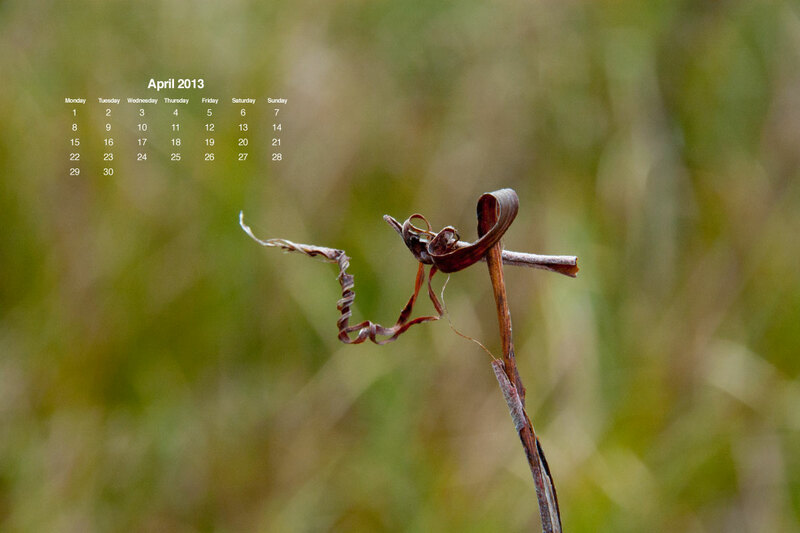 Another desktop wallpaper calendar for April 2013. This picture is so pretty to look at and so appropriate for this season. Happy Spring! The dimension for this image is 1200 x 800 pixels. Feel free to download and share with others. Download by saving (right-mouse click and select Save As.. ). This year I have found it useful to have a desktop wallpaper calendar. I find it refreshing to change the wallpaper and have quick access to the month’s calendar keeping my desk free of clutter with a paper calendar. For the last 2 months I have just been using other people’s work and it dawned on me that I could easily do this myself using some of the photos I have taken. This photo was taken on the coast of Oregon last spring (2012). I find beauty in this simple dried up leaves. I hope you find some enjoyment in this photo as well. 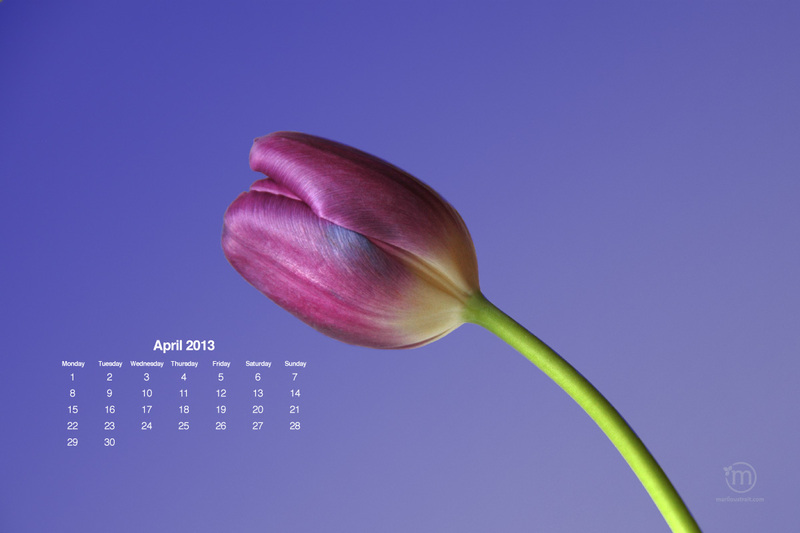 Let me know if you would like to have this same image for the month of March and I will post it as well.